Popular mobile operating system Android is about to officially make the jump from your smartphone to your wrist. 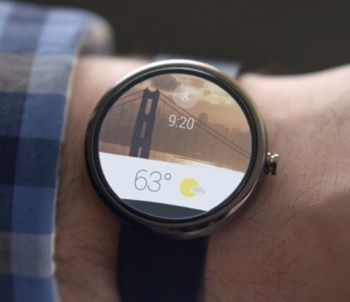 Today, Google announced Android Wear, a new mobile operating system designed for smart watches and other wearables. Android Wear is “built around voice and contextual information that’s reactive to your surroundings,” explains Android Designer Alex Faaborg. To that end, the company’s predictive, voice-activated Google Now service factors heavily into the device. Relevant information (weather, appointments, traffic – basically, any card you’d expect to see using Google Now on your phone) can be found by swiping your finger. Of course, Android Wear is designed to interface seamlessly with your Android smartphone. It can be used to control music, read emails and respond to texts – all the smart watch staples. The first smart watch featuring Android Wear, LG Electronics’ long-rumored G Watch, is expected to hit stores “next quarter.” Android Wear devices are also expected from Asus, HTC, Motorola and Samsung. Pricing and availability of these devices have yet to be announced. You can see Android Wear in action in the promotional video below.